Today marks the launch of Heavensward, Final Fantasy XIV's first expansion since the game's 2013 revamp in A Realm Reborn. 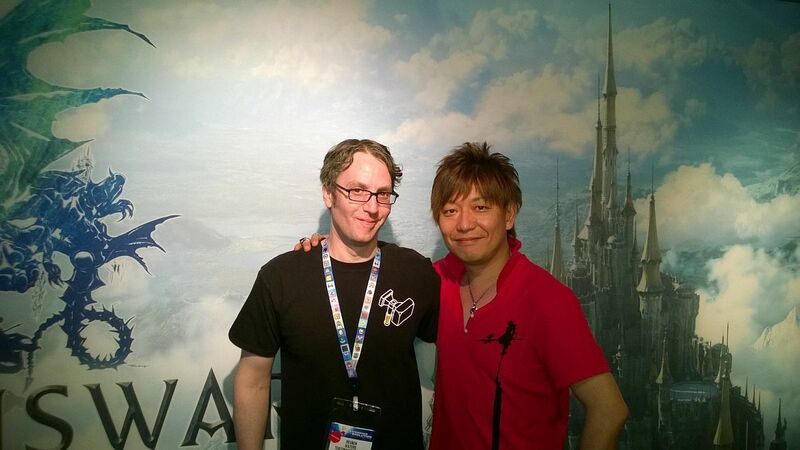 At E3 we sat down with Naoki Yoshida, producer, director, the industry's last (and nicest) rockstar dev, and to many the savior ( http://time.com/3817373/final-fantasy-14-naoki-yoshida/ ) of Final Fantasy XIV, who offered us some final thoughts about what Heavensward brings to the game. TTH: If you could choose the most important thing that Heavensward brings to Final Fantasy XIV, what would it be? Yoshida-san: There are so many new features going into this game, so its very hard to say that this is the one thing that we really want to focus on. But we are going back to our basic concept that we had since before 2.0: before we are an MMORPG we are an RPG, and before we are an RPG we are a Final Fantasy game. Building off of that - creating what isn't just an expansion, but something that has enough content to be a standalone game - we've created something that is a Final Fantasy game all on its own. If you did want us to say one thing that's the greatest thing, it's the sheer volume of content in this game. There's so much for players to play. TTH: In ARR or 2.0, the leveling experience in ARR was considered a tutorial, and the game really began at level 50. 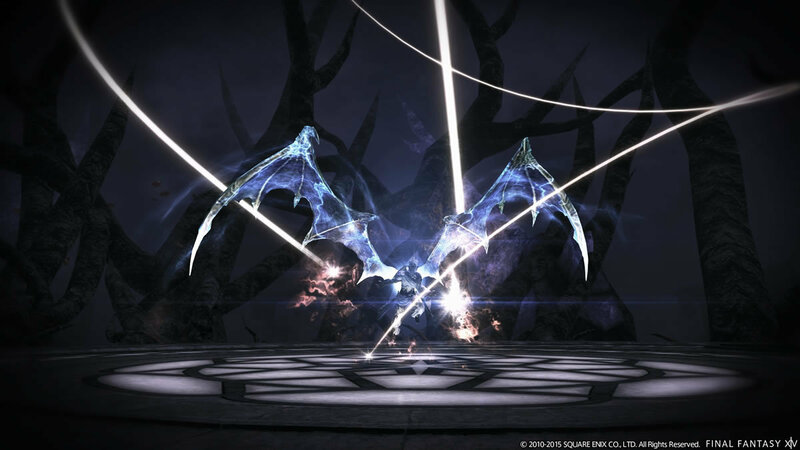 How does Heavensward fit into that mold and carry that forward? Yoshida-san: Because we raised the level cap to sixty in Heavensward, in those ten levels players will be learning new actions and new ways of fighting with each of the jobs and classes. We look at it as player progression is going to start again from here. So, kind of like how ARR was from level 1 to level 50 was a tutorial for everything that comes after 50, you can look at it as everything from level 50 to 60 is a tutorial for learning all these new actions and re-learning how these new actions fit with your other actions, and at level 60 is where the real game begins. I compare Heavensward to the second season of a TV show. It's just that the first episode of the season is about 50 hours long. TTH: Heavensward raises the level cap from 50 to 60 and offers plenty of content for endgame players. But MMORPG expansions often leave out new players, even draining earlier areas of the game of their guiding presence. What can new players look forward to in Heavensward? Yoshida-san:Currently ARR has a lot of content - a _lot_ of content - for players to play. So rather than adding new content there, we want to concentrate on those newer areas. Maybe in 5 years, doing something like WoW did where you have a Cataclysm where you destroy and remake the old areas - that may be something we can do. But it's only been two years since ARR and there's still a lot of things to do in those areas. However, with 3.0 - the patch that comes with Heavensward - we are going to be doing adjustments to ARR levels and quests. One of the big things we'll be doing is that in the main story of ARR, we've adjusted the experience and rewards, so players will be getting more experience for completing those. We've also added gear drops for those main scenario quests. Players that are just starting out can play the main story and get to level 50 just through the main story while also getting lots of gear - they don't have to grind lots of dungeons to get that gear. So they can get quickly to level 50 and play with the veterans. In short, they only need to play the main story. TTH: FFXIV is one of the few MMOs to successfully go cross-platform. Has something on the scale of this expansion created additional challenges? Yoshida-san: First off, the dev team and the management team have worked their butts off to get this to happen. That said, we've accumulated a lot of know-how, having already done this once. On top of that, Sony understands what we're trying to do and has made this process very smooth. One of the biggest challenges has been the PlayStation 3. This time, we're integrating flying mounts and increasing the draw distance and go back very far from things and still see detail, it's pushed a console that's 8 or 9 years old to its limits. Our graphics team and graphics engine team has worked very hard to make sure we can get the same performance on low-end machines and the PS3, and it's been probably the biggest challenge of the expansion. We don't want to create stress for players. When working with the flight speed for flying mounts, the concern is that the game won't be able to read the data fast enough and things won't pop up fast enough. If it's too slow, then players will feel like... come on, come on. Trying to get that perfect speed and optimizing that and the map system... we spent over a year doing that. We feel that the system we have now is good for all systems including low-end systems. While it's very difficult to make a high-end systems, it's very difficult to make a game for low-end systems that still feels great. We think that we've been able to do that. Our thanks to Naoki Yoshida, the excellent translator whose name I forgot to write down, and the fine folks at Square Enix for taking time to answer our questions on the eve of Final Fantasy XIV: Heavensward.